It certainly looks like it’s going to be a Sun-kissed summer in Norway with a heatwave giving us record high temperatures. 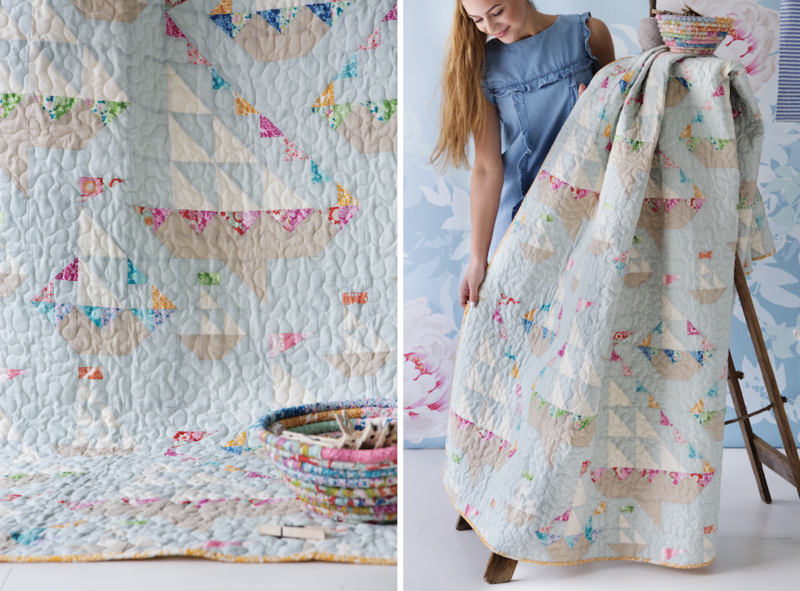 Here is a summer project where we have used both the Sunkiss and the LemonTree collection called “Sailing Regatta Quilt”. You can find the pattern in the newest Tilda book ”Sunshine Sewing”. The Sunkiss Collection is inspired by bright turquoise water, beautiful fowers, colorful corals and anemones waving with the current as you break through the water’s surface. The rich and warm colors are a perfect contrast to sun-kissed summer skin and the muted palette of beach life, with its whitewashed wood, stone and sand. We hope the Sunkiss Collection will inspire you to sew vibrant, colorful pillows and quilts, beach bags and fun summer clothes for the kids. You will find patterns for all the projects in the new book Sunshine Sewing. 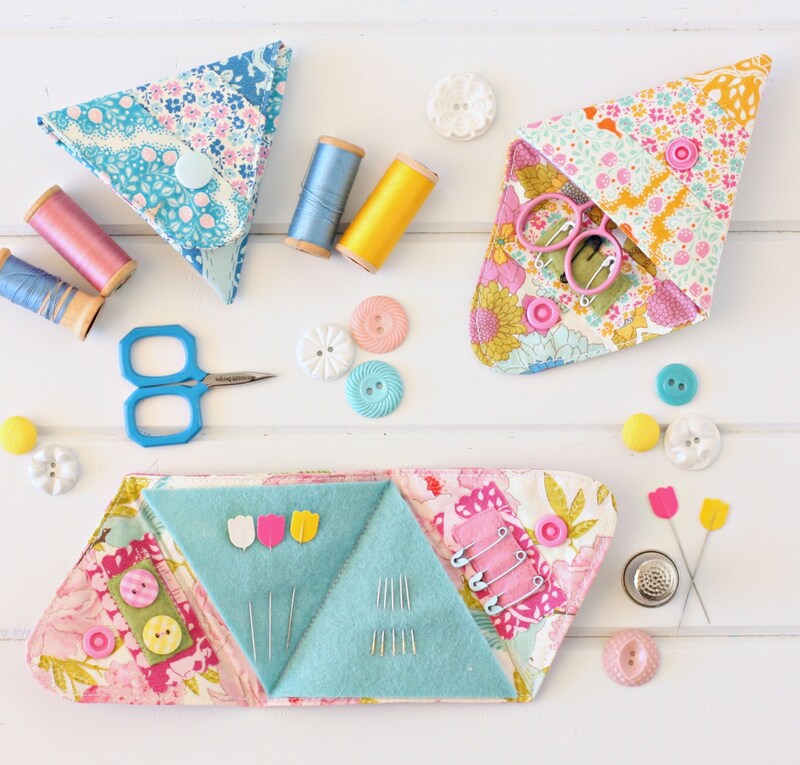 Adorable Travel Sewing Kit from A Spoonful of Sugar in Lemontree Fabrics. 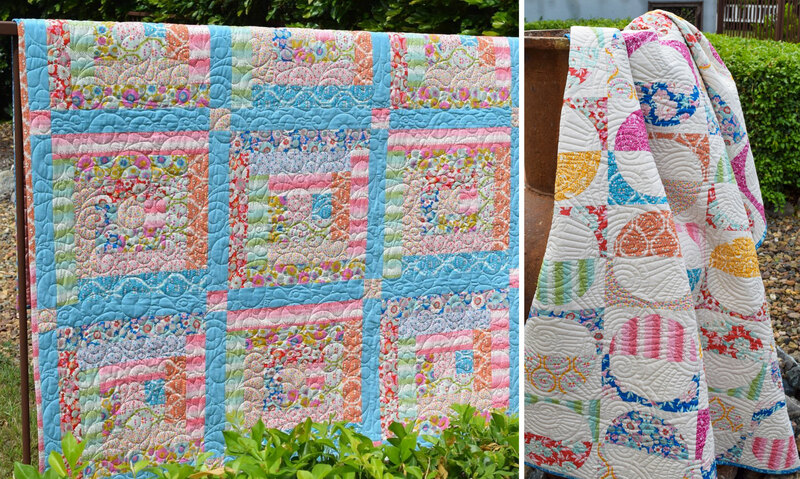 Get inspired by these new versions of the free Tilda quilts Apple Bloom and Spring Diaries sewn by Tilda Australia. 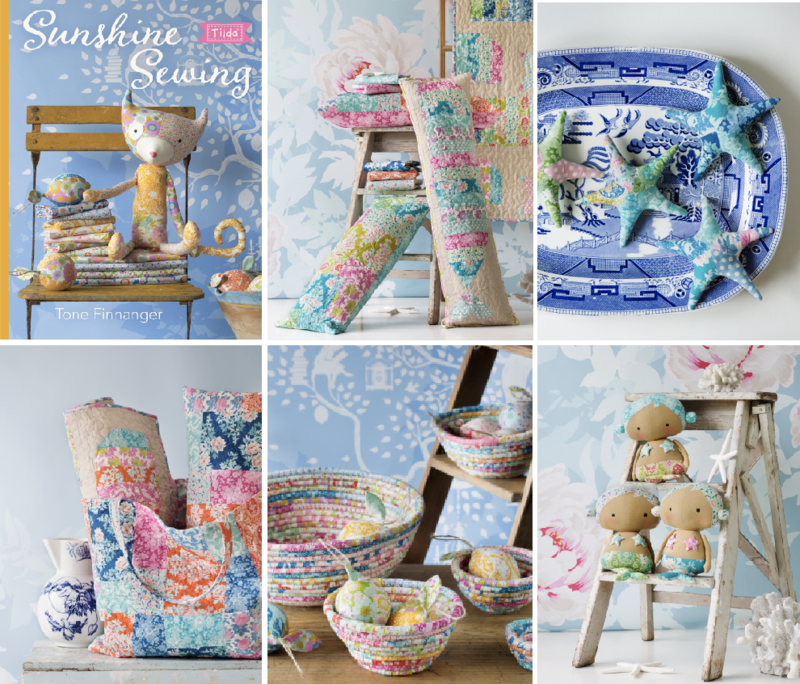 Get ready for summer with the delightful new Tilda book Sunshine Sewing! This book is full of ideas to get you your home ready for the new season with lovely scrap bowls, colorful quilts and unique pillows. Fabric lemons and colorful starfish is great summer decor or sweet gifts as pin cushions. Get ready for beach life with summery beach bags, and sew new Tilda characters for kids like mermaids, Patch Cats and a large cozy and fun Patchwork Octopus. The release date for Sunshine Sewing is March 16th.